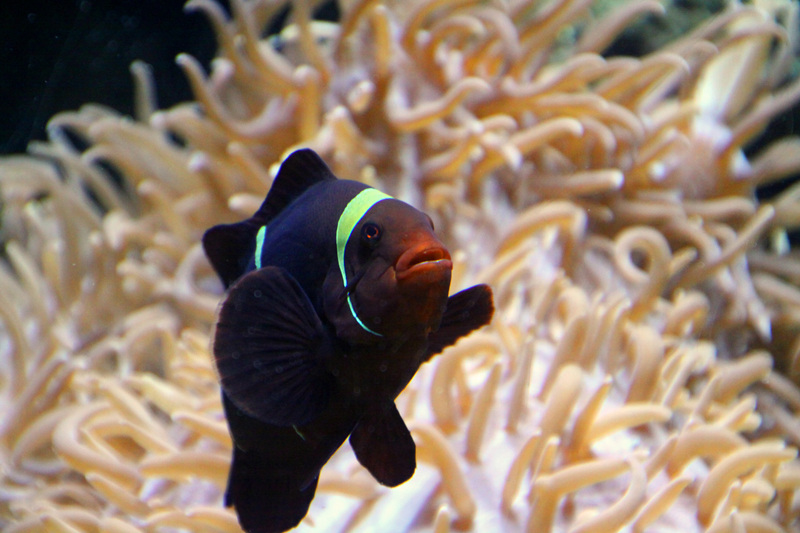 Commonly known as anemonefish, this species is almost never found without its host, the anemone, in its natural environment in the Pacific Ocean. By producing a heavy mucus, the maroon clownfish is protected from the stings of the anemone and lives in a symbiotic relationship for most of its life. Conservation Status: This fish is listed as being of least concern. All clownfish begin life as males, and then when the host female dies, her former mate rapidly develops into a functioning male, thus ensuring the propagation of the species.